This project was built using ArchGIS 10.3 and the sources listed below. 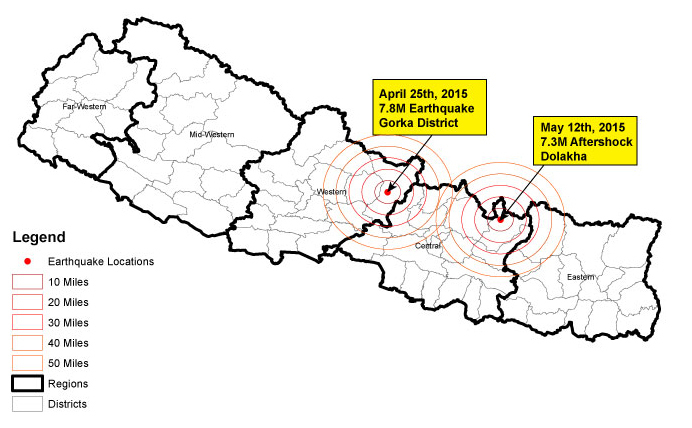 A devastating earthquake hit Nepal on April 25, 2015. The 7.8M Quake killed nearly 9,000 people and displaced thousands of others. 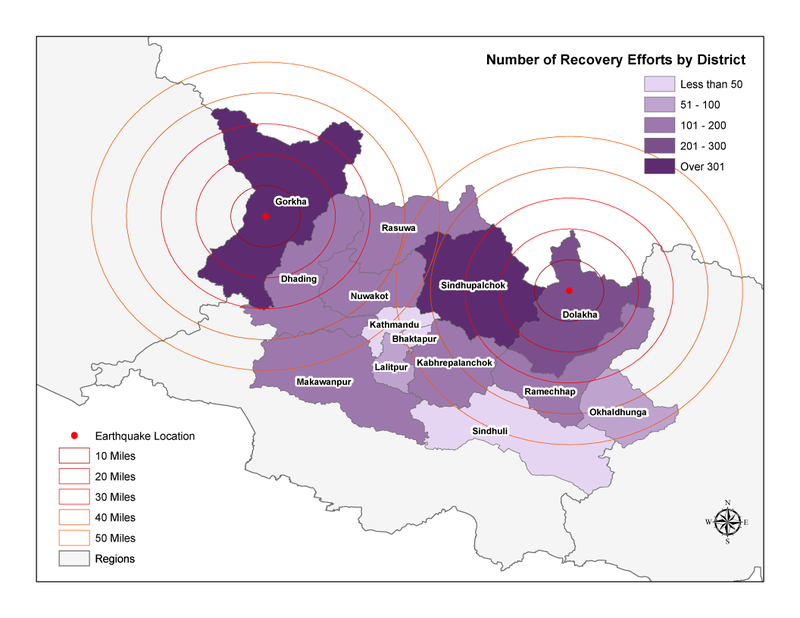 A few weeks later, an a 7.3M aftershock rattled the country again, displacing more of the population. Since the earthquake various groups have been working to restore Nepal through community outreach, infrastructure & development. For more up to date information please see the HRRP National Dashboard.